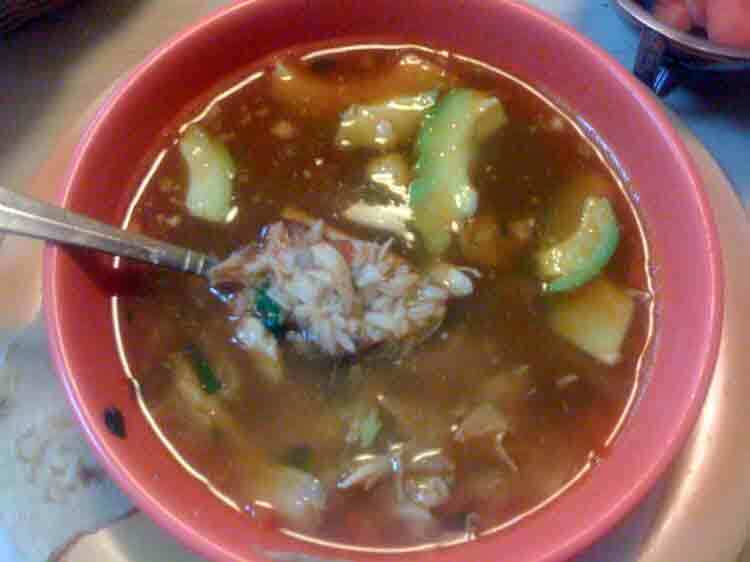 Anyone have a good recipe for Caldo Tlalpeno? A reader recently posted a question underneath a blog item I wrote last year about Mexican soups. I had proclaimed myself a fan of Caldo Tlalpeno, and he wants to know if anyone has any good recipes. All I know is that the Caldo Tlalpeno includes chicken or turkey, chick peas, avocado, rice, one or two chiles – and other good stuff, but I don’t have any personal recipes since I typically buy the soup already-made in Tijuana restaurants. Anyone have contacts in Guatemala? I am assuming he’s looking for someone to work as a ‘fixer’ to get people and places prepped for this kind of thing. I was in Guatemala more than ten years ago. That was back when I was trying to get my Spanish more conversational, and so I enrolled in a language school in Antigua for a very, very good price. In my time off, I got to see a lot of the country, including the famous ruins of Tikal. But I don’t have any contacts there anymore so I’m posting his appeal here – just in case someone has some leads and is willing to reach out. He looks legit, but I haven’t talked to him myself – so do your own investigations (Update: See comments below for more info. from Jesse) . According to his web site, Zook Mann is “an Emmy Award winning producer and cinematographer from New York City.” Here is his web site: http://zookmann.com/blog and you can find his contact information there. This is part of a series of blog posts about a ten-day trip I recently took south of the border through the Mexican state of Sonora and then back up north (after a ferry trip across the Gulf of California) through the Baja Peninsula. Actual travel date: Dec. 31, 2009. 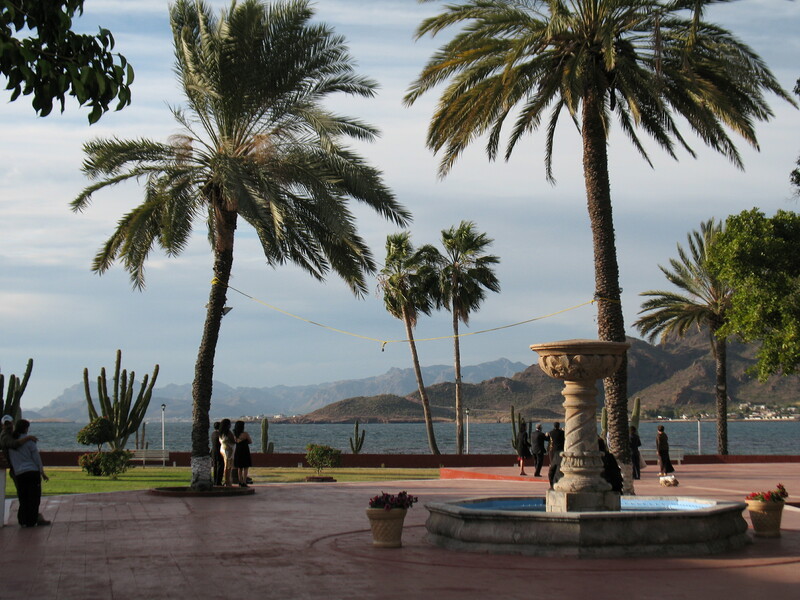 Loreto/Coronado Island in Baja Peninsula. I visited the Isla Coronado several years ago (photo above), and had a great time so I was hoping to recreate the experience this time around for the additional members in our travel party. I envisioned us being provided with informative explanations of the sealife and the island eco-system, snorkeling along two different parts of the island – and being provided with wet suits. This time, however, we ended up doing some last-minute arrangements, and things didn’t turn out as planned. The eco-tour shop I had gone to before was closed so we instead made arrangements through some other shop. Our “guide” turned out to be a taciturn local fisherman. We left the boat dock around 9 a.m. and within 30 minutes we were motoring along the island’s edge. The Isla Coronado is about three miles from the shore. The fisherman-guide made a complete trip around the island to take us to a small, isolated bay that was devoid of other tourists. This was not necessarily a bad thing. I’m up for getting to know new places, but then things started getting a little weird. The shoreline appeared to be littered with hundreds of bottle caps, though it was unclear where they were coming from. There were so many of these that I decided to keep my sandals on. As the fisherman-guide wandered off, we discovered a large pile of conch shells. Things got even stranger as I spotted the head of a hammer-head shark. 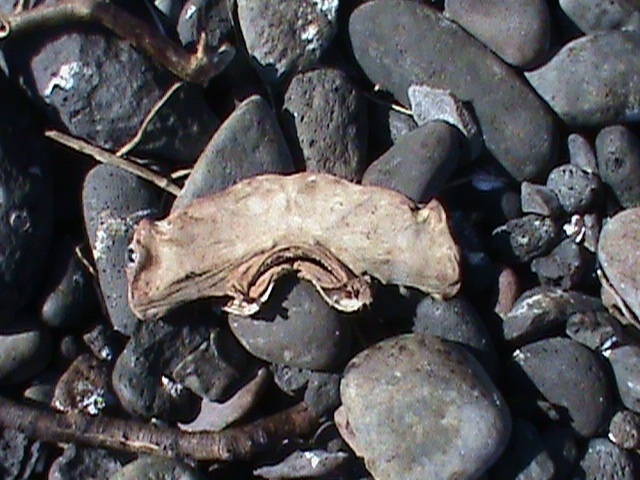 I looked more closely and I realized there were not just one, but two, and three, – no, DOZENS of these dried up heads. Then I saw the corpse of a manta ray, several other assorted large fish, and what looked like a decent-sized shark. This was the paradise bay I was familiar with from my previous trip. We laid out our beach gear and started munching on the lunch the fisherman-guide had brought us, which included some tasty chicken empanadas, burritos, fruits and plenty of drinks. 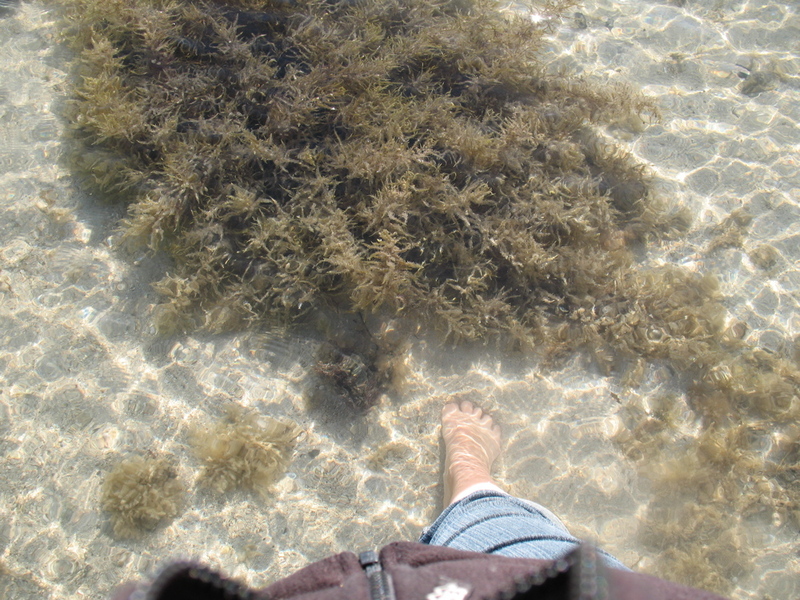 The water was clear, but chilly. I had gone in the water the last time I visited the island – in a wet suit. This time, there was no gear on our guide’s boat and I let others report back about the fish they saw. Over time, about a dozen other tourists joined us along the bay. We stayed here for a few hours until the fisherman-guide warned us that the water was getting rough and that we needed to head back to shore. The water was indeed rough as we bucked our way across the waves. We got drenched, and I was glad I had my raincoat. 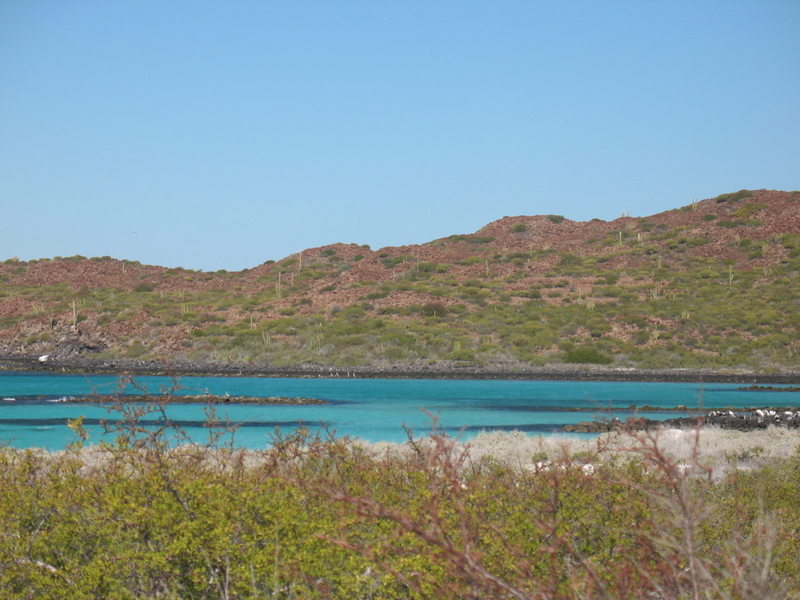 Back in Loreto, we explored some options for New Year’s celebrations. Several of the hotels along the coast were hosting dinner parties that looked like fun. They ranged in price from about $30 to $75 per person. The last time I came here around this time, I went to a town outdoor dance to cheer in the New Year with the locals. Instead, with two kids in tow, we ended up splurging on a tasty New Year’s meal at a restaurant called Mita Gourmet (across from the city hall) with fantastic ambiance that featured live music from the outside patio. To celebrate the New Year, I had fish cooked Veracruz style with some white wine. Boating excursion to Isla Coronado cost about $47 per person for this time of the year. The boats leave between 8:30 and 9 a.m. in the morning, and the trip includes a prepared lunch. Try and book through an eco-tour group for the best experience, which includes wetsuits and a chance to go snorkeling on both sides of of the island. Several of these outfits are located on Loreto’s main strip, on Avenida Hidalgo. Actual travel date: Dec. 30. Along the eastern Baja peninsula. After the overnight trip by ferry across the Gulf of California, we slept a few hours at a hotel in Mulege before continuing our trip through this southern part of the Baja peninsula. 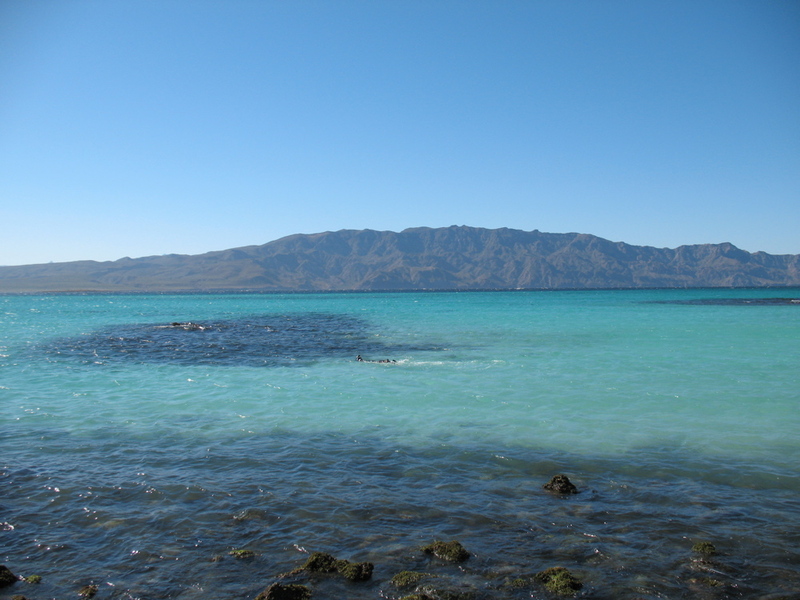 We wanted to visit a few of the beaches between Mulege and Loreto that lie along a bay called Bahia Concepcion. According to The Lonely Planet travel book on Baja California, the bay is made up of 5o miles of beaches with names such as Playa Santispac, Playa El Burro and Playa El Requeson (that one once made a list of Mexico’s “top ten” beaches in Conde Nast Traveler). You could spend a week – or longer – getting to know the different beach spots along this bay, which is shielded to the west by a finger-like outcrop called the Sierra Los Gavilanes. 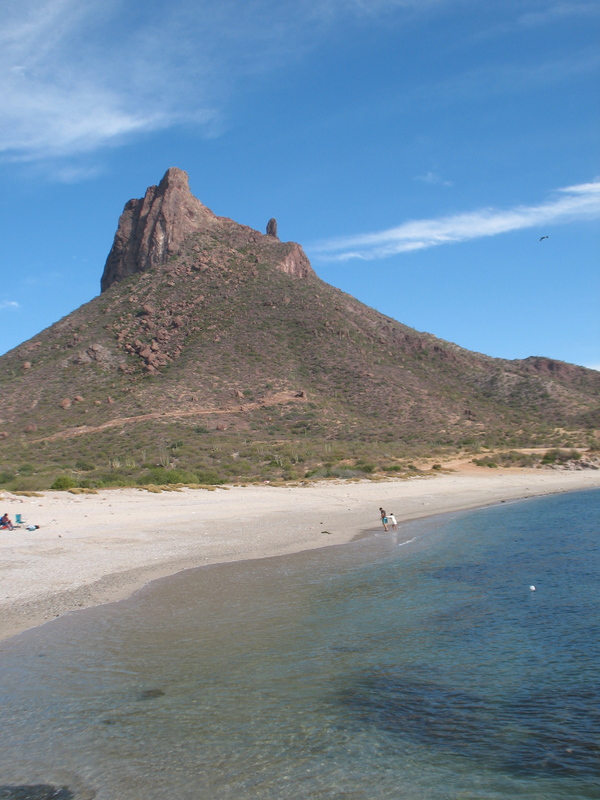 We pulled into Playa Santispac, one of the first beaches you arrive at as you drive south from Mulege. The beaches in Sonora had been a bit too cold at this time of year for breaking out the swimsuits, but this Baja bay was like a little oasis. The geography provided protection from the wind and the water’s ripples along the shore seemed to beckon us to step into this picture-perfect postcard scene. We set up the beach chairs and snacks and plunged into vacation bliss. Over the course of the afternoon, the water receded from the shore and exposed rooted clams and other sea life. I explored the shallow area by foot, catching sight of schools of fish and corals feathered with plant life.The placid water was perfect for floating, and so we rented a few kayaks from some local kids (if I recall correctly, they charged $10 per kayak for an hour, or $20 for all day) and spent an hour paddling long the shore. Eventually we moved on to Playa el Burro where we ate lunch around 3 p.m. before heading to Loreto. The trip from Mulege to Loreto takes about two hours, so it was dark by the time we arrived in Loreto. We checked into the Hotel Junipero – which is a few blocks from the coast – and searched for a travel office to make reservations for the next day’s excursion: A boat trip to the Isla Coronado. Most of the tour places on the main street were closed, but we managed to find one shop on a side-street that helped us arrange reservations for the following day. We tried on some snorkeling gear and were told to meet our boat at the dock at 8:30 the next morning to spend the last day of 2009 at the island. I have never been on a Carnival cruise, but I have traveled by reed boat along Peru’s Lake Titicaca, jetted in a motor panga through rivers in Nicaragua and once took a very long trip to the Corn Islands sitting on the the boat’s deck, squished between other people, animals and sacks of grains. Boat trips, to me, are about exploring new places and setting off on adventures – not so much about lounge chairs and martinis. The idea of crossing the Gulf of California by boat was alluring to me, in part because I didn’t know anyone else who had taken the 8-10 hour ferry trip between Guaymas, Sonora and the Baja peninsula. Taking the ferry, it turned out, also requires a zen state of mind. Technically, it leaves at 8 p.m. on four designated days a week from Guaymas. But nature is what actually dictates the boat’s schedule. We had arrived here Sunday and by Tuesday morning we still weren’t exactly sure when it would leave – or if it would leave before the end of 2009. As we were lounging at the Guaymas hotel pool in travel limbo, we got a call from the ferry office asking us to hurry over and pay for our tickets because the ferry would be leaving…at 4 p.m. There were still a few things I wanted to check out in Guaymas. I had learned there was a some sort of a dolphin facility in Guaymas/San Carlos, and I had also seen signs for a pearl farm. Instead, we ended up stocking up a cooler with food and drinks for the trip and making a few other travel-related purchases before rushing to line up our car for pre-boarding inspection by soldiers and a drug-sniffing dog. We joined about 80 other people waiting to board the ferry, including a platoon of gun-toting soldiers heading for an assignment in Baja. 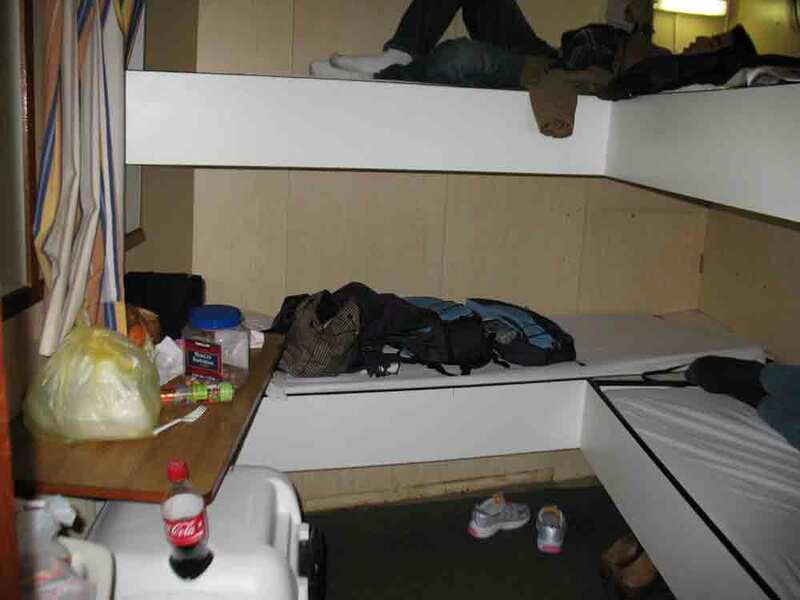 Other ferry travelers included some French guys, members of a band traveling to Baja to perform over New Year’s and a chatty Chinese student called “Arnold” who had a visa problem and was waiting out his U.S. appointment in Mexico. We left as the sun was setting over the horizon, so I was able to enjoy the view as we pulled away from Guaymas. The sunset stroked violet and orange colors on the horizon as we headed west out of the bay. Soon the sorbet canvas above us was replaced by the sparkle of stars and the inky smudge of sky and sea. Most of the people on board – except for the soldiers in first-class – had bought the ferry’s basic ticket. This got you a seat in a room that was set up like a very wide plane. Two large television sets provided nominal entertainment and a snack bar immediately in front of the passengers sold overpriced popcorn and other foods. It was hot here, and didn’t look very comfortable. As the evening wore on, the people in the front seats ended up curled on the ground. I was glad we had gotten a cabin. This had cost an extra $75 for the four of us, but it gave us our own space with four bunk beds, a small sink and shelf – and our own porthole. We kept the porthole slightly open to provide air circulation. We had left most of our luggage in the car, but brought with us the cooler with drinks and snacks from Guaymas. There were a lot of doors inside the ferry and lots of curious – or lost – people. At one point duirng the trip, all four of us were sitting in the cabin when the door swung open and a disoriented soldier stared at us. “Ay, perdon…me equivoque.” (Oh, Sorry! I made a mistake). This scenario kept on repeating itself in bad comedic style. We finally just locked the cabin door. I spent much of my time clambering up and down the ferry’s three levels or standing outside, chatting with the other ferry travelers and watching the waves churn below us. At one point, the ferry captain and his assistant let us visit the navigation room. The sea was calm and the ride was smooth. I asked about the “worst ever” ferry trip and was told that there had been one particularly-rough trip that took 24 hours and that practically inspired mutiny except that the sick passengers were too busy heaving into bags. Around midnight I went into the cabin to doze a bit. At 3:30 a.m. I went outside where about a dozen passengers were hanging out in the darkness. We could see the lights of Santa Rosalia sparkling off the Baja peninsula. It was almost 10 hours since we had left. The lights grew brighter and soon I could make out the forms of buildings and the dock. We arrived around 4 a.m. and had to check in with Mexican authorities to give our names, show our identifications, and to have our photos taken. The car got another sniff-over by the crime-fighting dog and soldiers, and then we were back on the road. 4 a.m. was too early for breakfast, and too late to go to sleep. We ended up driving about an hour south to Mulege, but it was still too early to do anything and so we checked into a hotel just outside of Mulege to rest for a few hours before continuing our journey. 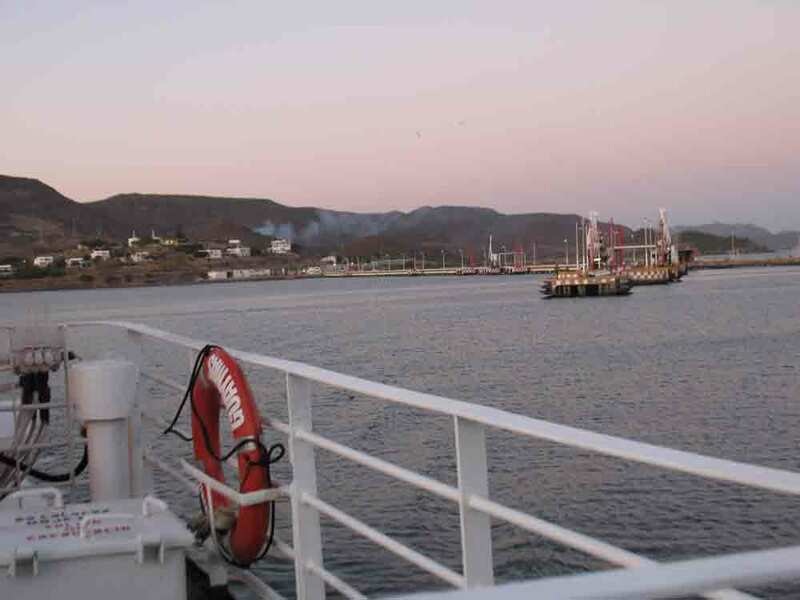 After three days traveling through Sonora, we reached the port city of Guaymas. 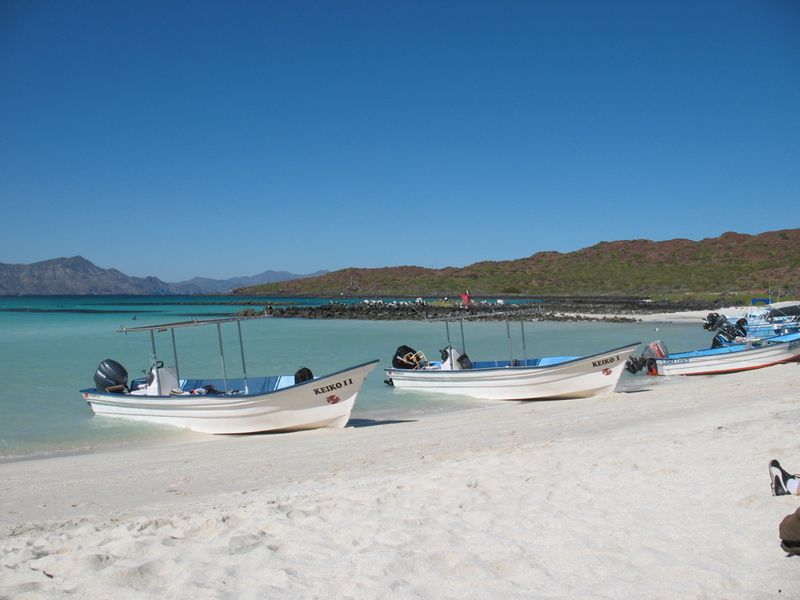 Our plan was to cross the Gulf of California by boat and then continue our trip through the Baja peninsula. From what I had read, the ferry could be fickle due to weather, and reservations in advance – which we didn’t have – were highly recommended. So I wasn’t quite sure how things would turn out. We went to the Guaymas ferry office Monday morning and were told that they didn’t know when the boat would leave that day, and to check again later. 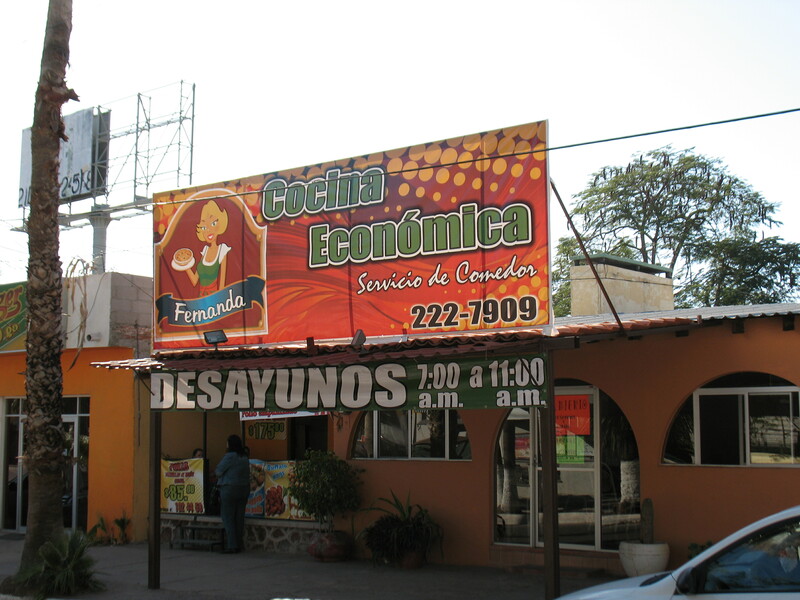 So we went to get some breakfast near the hotel at a simple food place called either Fernanda or Cocina Economica, or some combination of the two. I ordered my usual Mexican breakfast favorite: Eggs cooked Mexican Style or Juevos a la Mexicana. The food was a little slow in its arrival, but the portions were generous and exquisitely cooked (at $18 for four, including drinks, it lived up to its name of being economical). I personally rank this the Best Breakfast during the entire road trip. Around noon we called the ferry ofice. We were told that there would be no departure this day – and to call at 9 a.m. the next day, Tuesday. 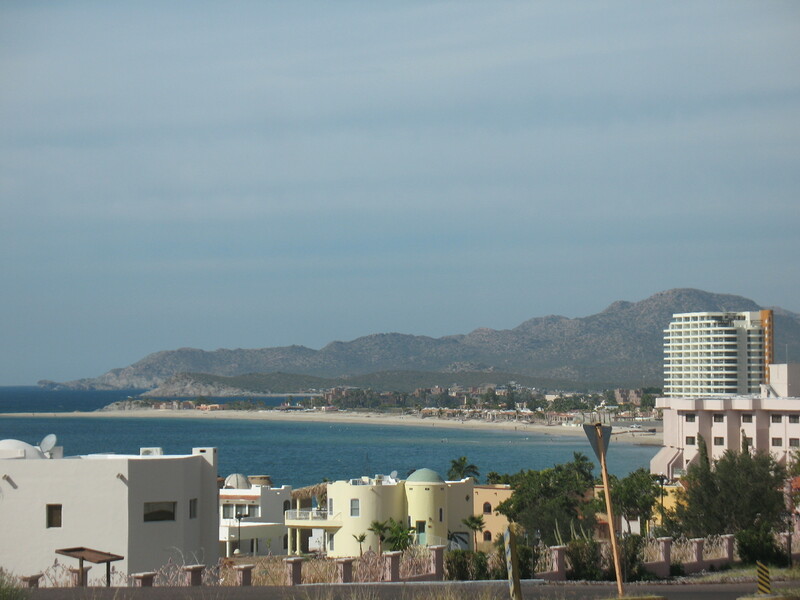 Now that we knew we had the day and evening free, we drove a few minutes away to San Carlos in search of the tourist beach areas of Algodones (a portion of which was the backdrop for the Catch 22 movie filmed here in the ’70s). We found that many of the most obvious beach spots were inaccessible because they involved entering the front driveways of beachside hotels or condos. The beach area turned out to be chilly on this particular day, so we drove around some more and a condominium security guard guided us to a beach access point where the wind wasn’t as strong. For a good two hours we walked around this quiet bay and scrambled on nearby rocks in search of crabs, mollusks and other small sealife in tidepools. Afterwards, we explored more of San Carlos while looking for an affordable beachside hotel. We visited a few, but a lack of inviting pools and the ever-present wind chill sent us scurrying back to our original place in Guaymas, the Armida. Along the way, we swung by a seaside hotel called the Hotel Playa de Cortes that reminded me of the older, historic section of the Rosarito Beach Hotel in Baja California. Nestled at the end of a Guaymas road, the place was full of hand-carved wooden furniture, Spanish colonial architecture and old black-and-white photos (a more recent one had been signed by then-Arizona Governor Janet Napolitano who is now head of the Department of Homeland Security). Politics, aside, the vibe made me immediately want to sip a margarita in a lounge chair. Back in central Guaymas, we ended up having a very un-Mexican dinner of Papa John’s Pizza. Unlike most of the Papa John’s I’ve been to north of the border, which seem to cater more to the pick-up-and-eat-elsewhere crowd – this one was set up as a restaurant. As a slight drizzle dotted the windows outside, we figured the next leg of our trip would depend a lot on whether or not the ferry left tomorrow to make the planned itinerary worthwhile. If there was no ferry, we might have to come up with a Plan B. For a list of beaches in San Carlos, go here. For a list of hotels in San Carlos, go here. 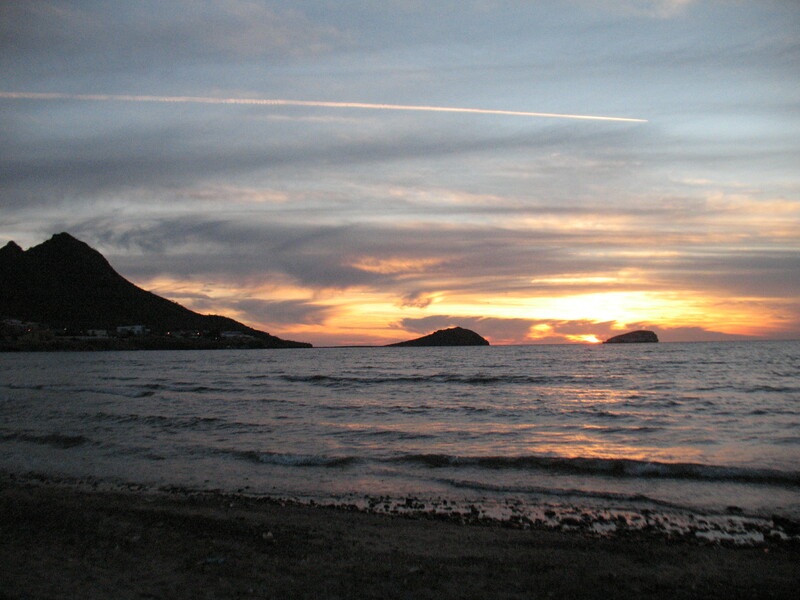 The seaside Hotel Playa de Cortes in Guaymas offers basic rooms ranging in price from about $65-$90, depending on the season. For more information, go here. Day Three of the trip: December 27, 2009. 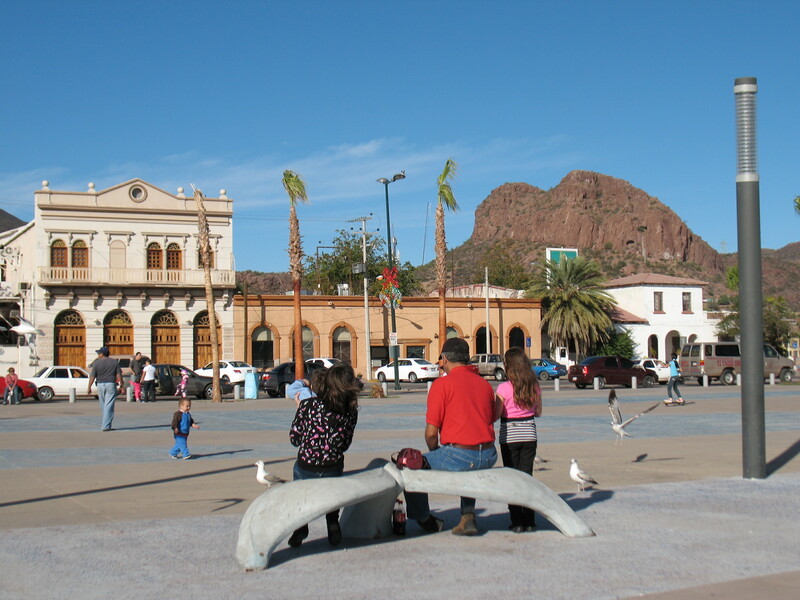 Starting point is Hermosillo, the capitol of Sonora. I had been to Hermosillo before, so I was looking forward to spending some time in this pretty, desert capital. With an estimated population of over half a million, Hermosillo nonetheless maintains a certain patina of order and tranquility that stands in contrast to the chaotic energy of other urban centers. As I waited for my travel companions to wake up, I browsed through some pamphlets from the hotel lobby about the newly-opened Sonoran Art Museum . There was an exhibit of Oaxacan painter Rufino Tamayo that would have to wait for a future visit. Instead, we went to the Sonora Museum which is a former state penitentiary that operated from 1907 to 1979. 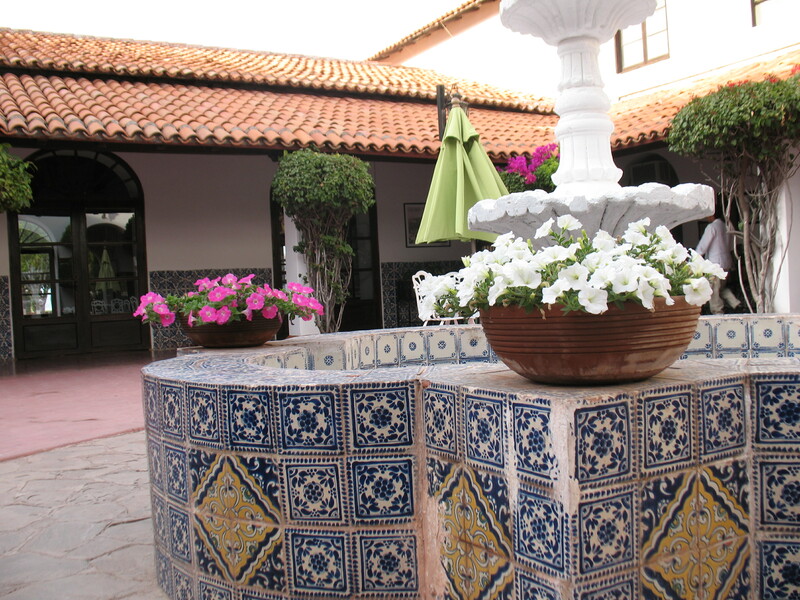 It was located near our hotel – the Hotel Colonial – on the other side of the Cerro de la Campana (Hill of the Bell). As we took in the bird’s eye view, a nearby church bell started to ring. It momentarily sent me back in time and place. The museum is free on Sundays, and we spent about 40 minutes wandering through the old cell spaces that had been converted into educational exhibits on the region’s history, including one with a photo of Benjamin Hill. 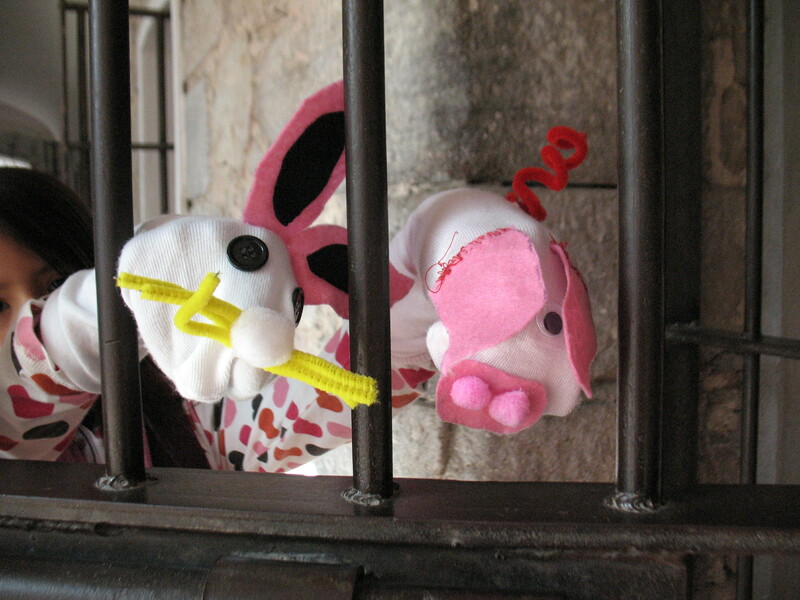 The rabbit and pig sock puppets engaged in ongoing silly commentary. We also took some pictures of ourselves behind prison bars. Then we headed back to the downtown area for breakfast. Our destination: the local market where people come to buy their pig’s feet, vegetables and cheeses. After walking around the entire market, we sat down at a corner stall and I ate several spicy shredded beef tacos. Even though Hermosillo’s weather was pleasant, the dominant collective opinion of my travel companions settled on finding a warm beach. So we decided to continue our trek to the beach communities of Guaymas (where we would take the ferry to Baja California) and San Carlos. Both were only about one hour way. After a quick detour through San Carlos, we headed to Guaymas where we discovered the harbor area. This oceanfront section of town seemed to serve as the city’s central plaza where local folks strolled and merrily scooted around on their skateboards, bikes and in-line skates. We picked the Armida Hotel at random, unloaded the car, and then I started flipping through the Yellow Pages Book. A section on Guaymas provided me with some informational grounding: The city was founded in 1769 and has one of the largest fleets in the Mexican Pacific. The write-up mentioned that the nearby Miramar Beach is a good place for sunsets. I looked at the clock: 4:30. We got to the beach in about ten minutes and searched for shells along the shore as the sun sank low and pelicans dive-bombed for fish. For dinner, perhaps inspired by the pelicans, we went to a Sushi place near the hotel. The rolls were average, but the ambience was energetic with three television screens beaming sports and music videos. 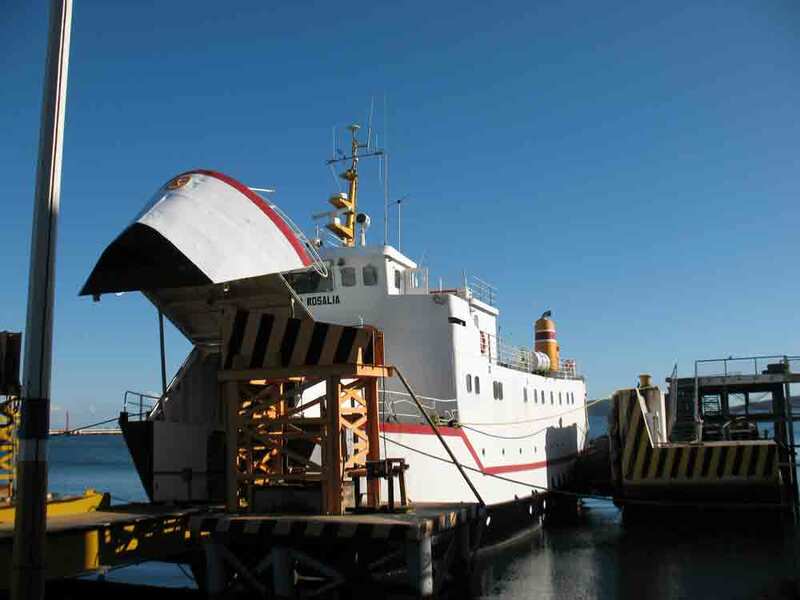 The next day was Monday and we would need to make reservations and confirm the Tuesday departure time for the ferry that would take us across the Gulf of California to the Baja peninsula.